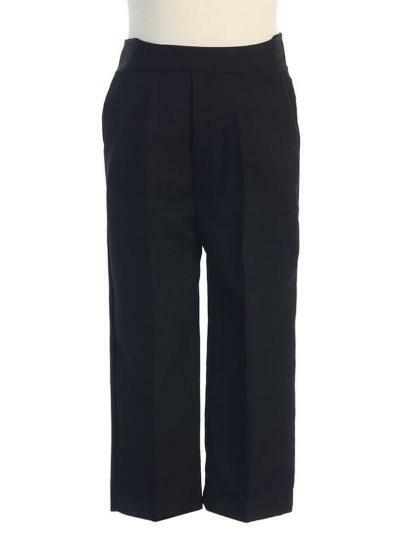 Every boy needs basic black dress pants overstock sale! 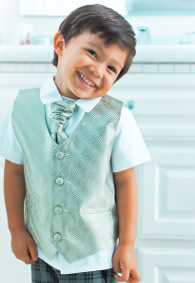 By popular demand we offer Lito boys dress pants in Black, White, Khaki, and Charcoal that may be purchased separately. These are quality polyester dress pants are made by Lito in the USA and maintain a fairly wrinkle feel appearance no matter how long they are worn. 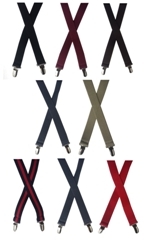 Pair them with either white or ivory long or short sleeve dress shirts, a pair of suspenders and a bow tie to create a handsome personalized style. These pants are versatile enough to be worn for both casual and formal events. The pants are available in sizes 3-6 Months to 8. The infant sizes have an elastic waist, the toddler sizes have an elastic back and fake fly. Sizes 5 - 8 have a zipper, pockets and an elastic back. They also have tucks in the front so they are not flat fronted like the smaller sizes. Please note - The dress pants run slightly small. 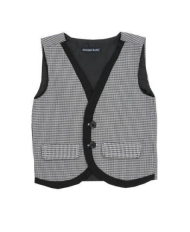 Refer to the general size chart and order up a size if in the middle or top of the range.